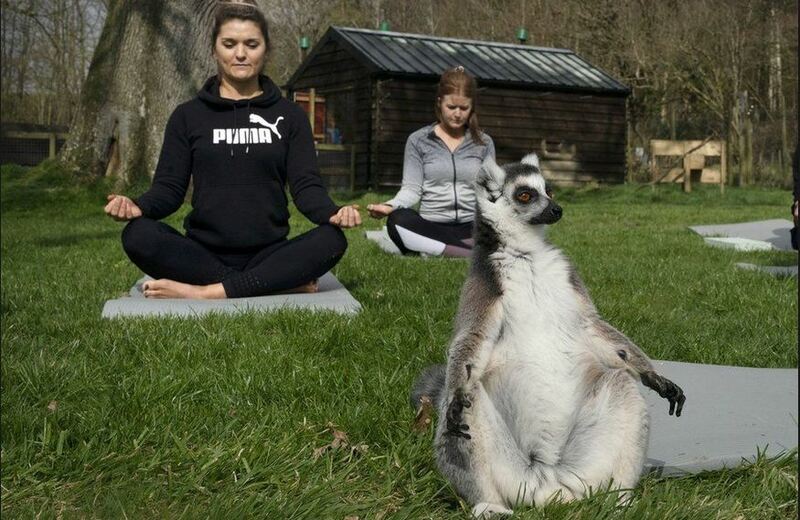 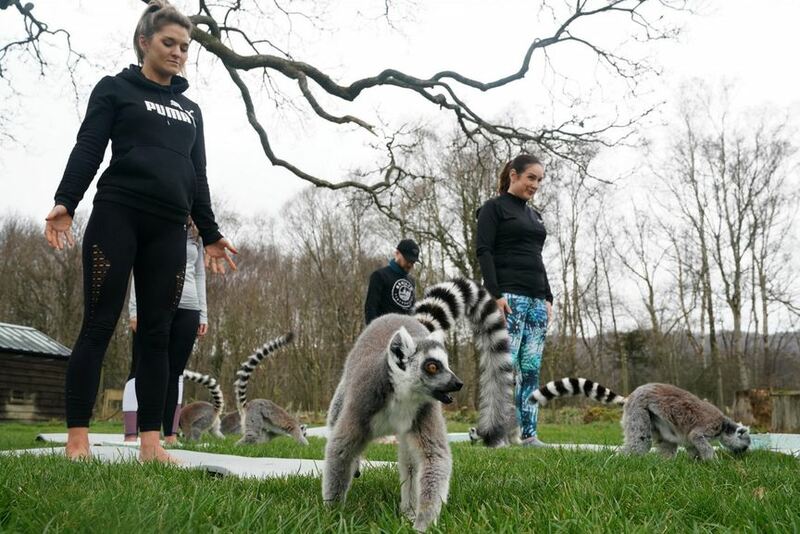 The Armathwaite Hall Hotel In England is offering lemoga, also known as doing yoga outdoors with lemurs. 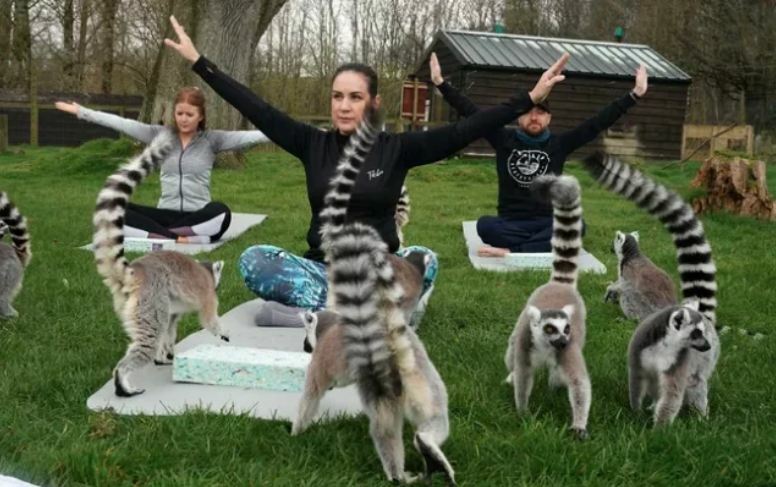 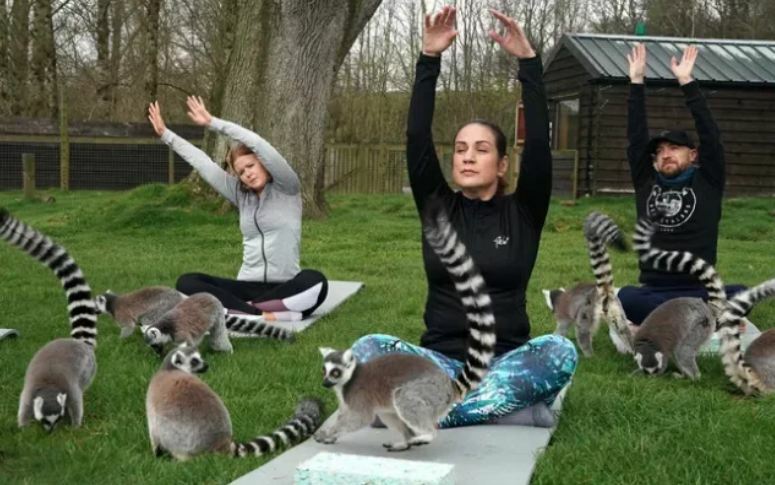 The lemurs already live in the nearby wildlife park, and they’re apparently very friendly and social, so they’re practically perfect yoga buddies. 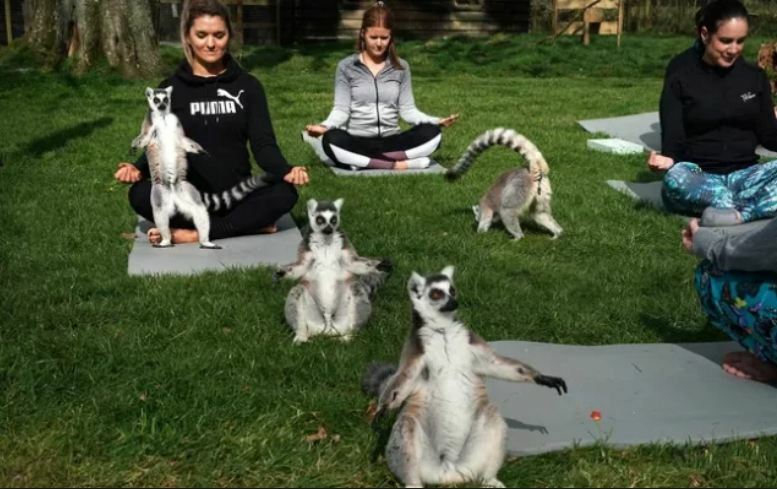 When you watch lemurs they do some form of the poses naturally — that typical pose warming their bellies in the sunshine. 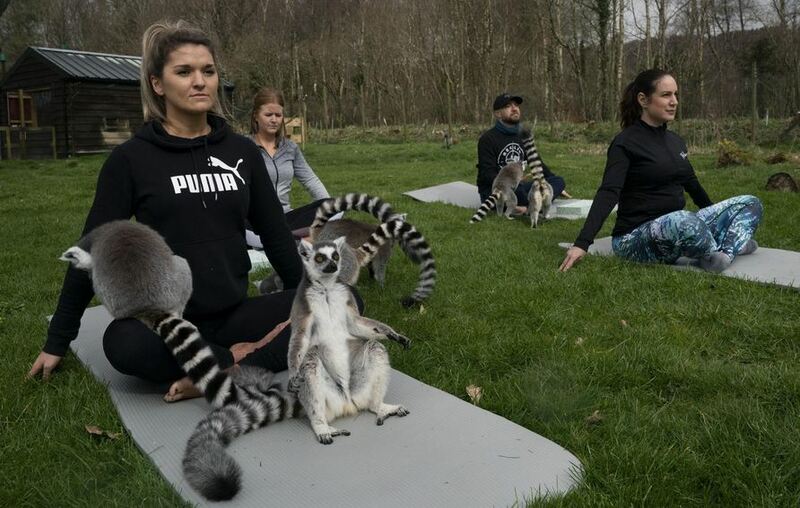 It seemed to be a really good combination to encourage people to have a go and spend time with a lemur. 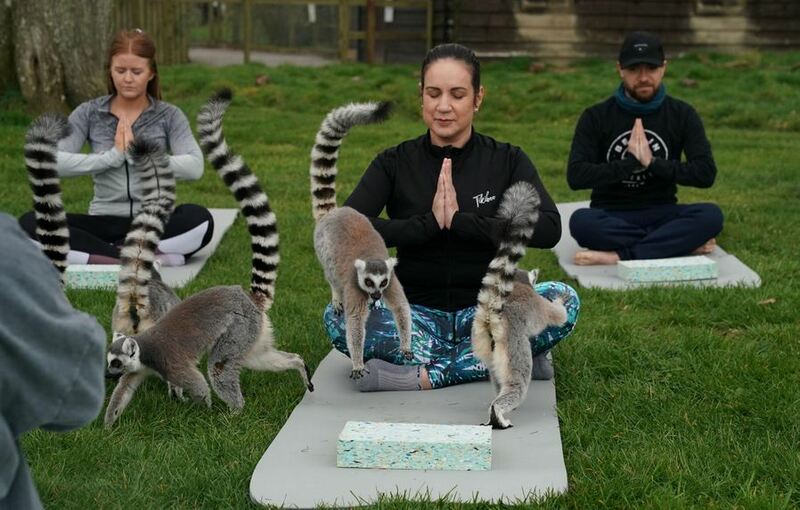 Lemoga is good for stress and reducing blood pressure, especially when lemurs are involved.